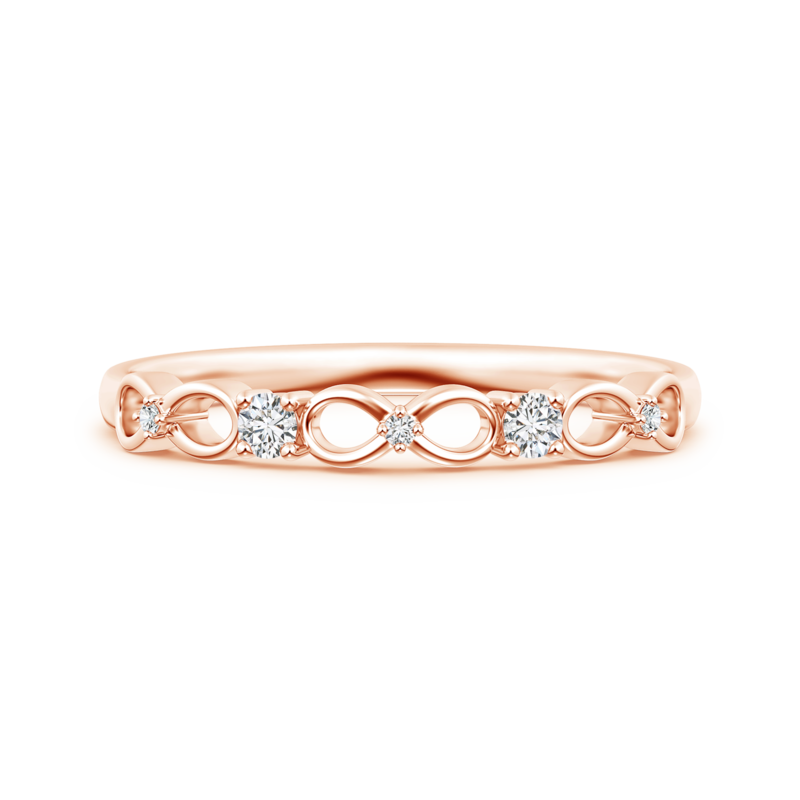 Showcase your penchant for a truly mesmerizing piece of jewelry with this expertly designed wedding band. The delicate and visually stunning curves of this ring depict the infinity knot, which represents a bond that transcends time. Infusing luminescence into this captivating pattern are the prong set lab grown diamonds that alternate with the infinity motifs, and also adorn their core. Crafted from 14k white gold metal, this infinity twist wedding band is a wonderful choice to make your promise of an everlasting love.